The project developed a reference curriculum for executive education on Business Process Management (BPM) for Europe. 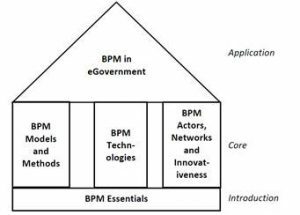 Such a curriculum is strongly needed, because there is a huge demand for competences in BPM, which is about the value creating application of information and communication technology (ICT) in business and society to support excellence and innovation. BPM_Online was the first project to design a reference curriculum for executive education in the field of BPM that makes use of blended learning opportunities and involves leading research BPM institutes across Europe. The project BPM_Online intends to enable executive education jointly carried out by BPM research centres across Europe, and it is designed in a flexible way so as to be able to integrate new topics and partners in the future. The project produced seven intellectual outputs that are ready to use for educational institutions throughout Europe, including a BPM Curriculum Framework, five BPM modules, and a final report. These outputs go far beyond the existing educational offerings because they integrate world-leading up-to-date research results and they are tailor made for the needs of EU professionals using innovative virtual and blended learning scenarios. The consortium members contributed profound BPM expertise they have gathered through decades of research. The curriculum can be found here. The five core modules of the curriculum are structured as displayed in the graphic below.